Tickets for our annual Grand Christmas Draw are on sale now: £2.50 per book of five tickets. 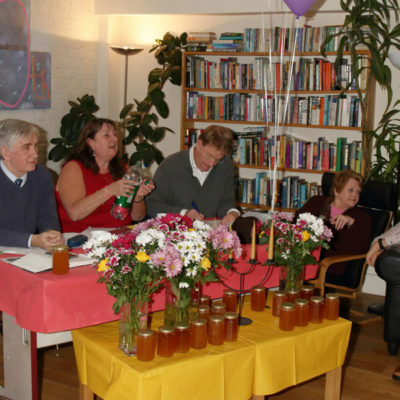 Prizes include: £100 cash, a £50-meat voucher, a Christmas hamper and a Christmas cake! The winning tickets will be drawn on 19 December at Head Office. To get your tickets, contact Mossie Lyons at Head Office. 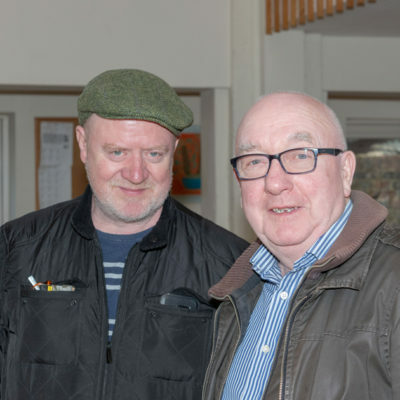 Congratulations to Linden Grove staff members Vincent Mahe and Simon Woods for achieving their Level 5 Diplomas in Management and Leadership for Health and Social Care. 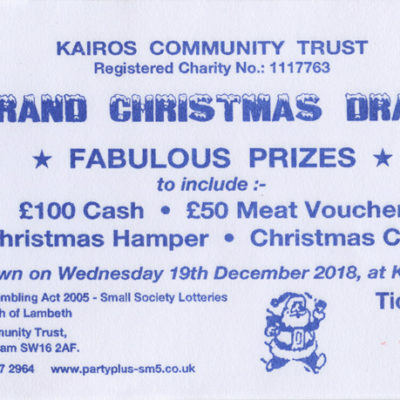 The 2018 Kairos Community Trust Annual General Meeting will be held on Tuesday, 27 November at the John Kitchen Centre, 22 Linden Grove, London SE15 3LF. The meeting will start at 6.30pm and there will be a buffet afterwards. 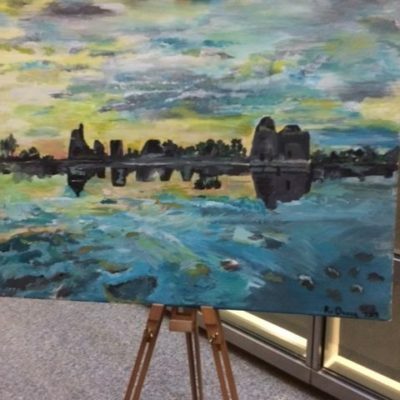 Our congratulations to Robert Druce on his sell-out success at the New Hanbury Project exhibition last night! 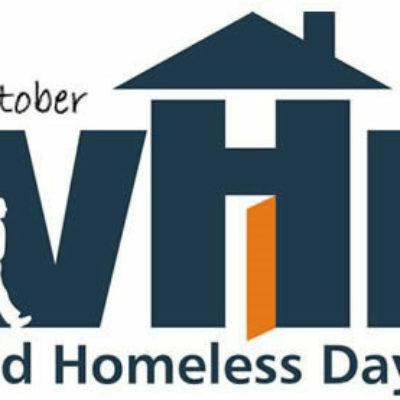 We want to highlight the two designated world awareness events falling on the same day today, 10 October: World Homeless Day and World Mental Health Day. What a convergence of two realities very close to the heart of Kairos!